A motor trader from Swindon has been fined £9,700 for advertising a range of unroadworthy cars that had highly dangerous faults. Trading standards investigated Swindon Trade Centre and found that company boss Michael Barbato was selling several faulty vehicles. These included an Alfa Romeo with a split tyre, a Suzuki Wagon with a badly corroded brake pipe and a Renault Megan with broken suspension. An essential part of running a business is that as an upstanding member of the public, you comply with the law. However, it’s also vital that you are properly insured. In order to provide top quality services to your customers, ensure you have road risks insurance and demonstration cover, in addition to your general motor trade insurance. 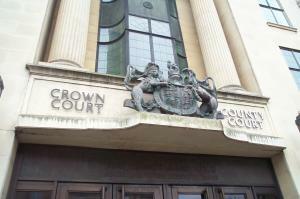 Additionally, Swindon Magistrates’ Court discovered that Mr Barbato had advertised three vehicles with full MOT. However, when buyers arrived at Swindon Trade Centre, they were told they could not test drive the cars because they did not have MOT. Prosecutor Oliver Willmott said that it was illegal to present unroadworthy vehicles for sale and allow customers to get in and try the engine. Chairman of the magistrates Gail Chilcott said during the sentencing: “I find it remarkable that a responsible business would allow customers to browse the premises without fully trained staff or systems in place to differentiate between cars that have an MOT and those that do not. "I can see that cars in an unroadworthy condition were found on the forecourt.